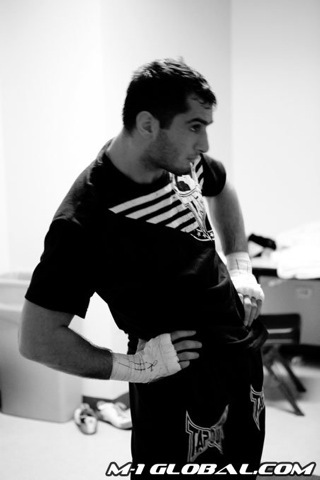 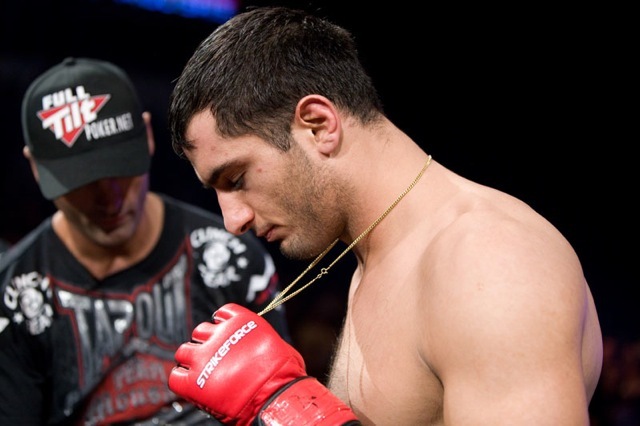 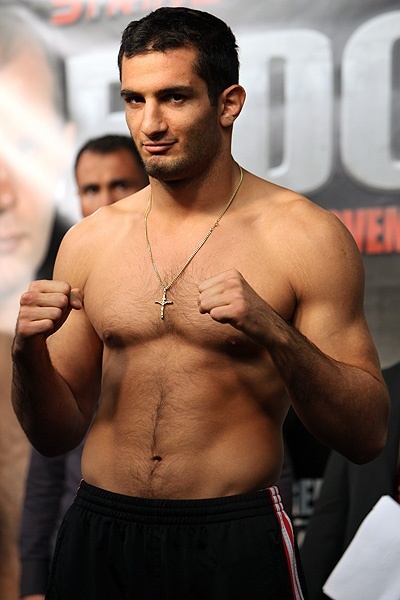 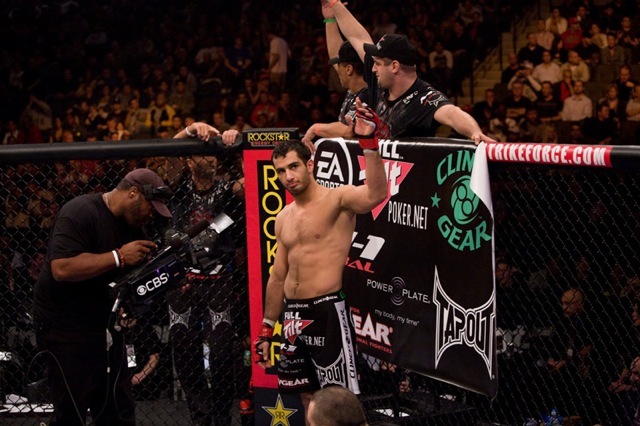 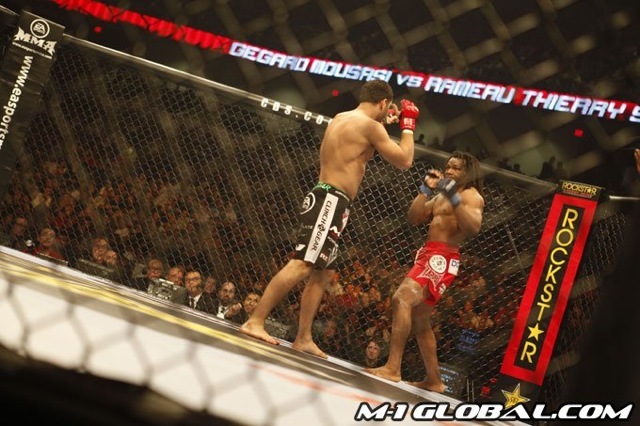 HyeFighter Gegard Mousasi was tested by an equally athletic Rameau Thierry Sokoudjou until the Strikeforce light heavyweight champion scored a technical knockout 3:43 into the second round of their three-round, non-title contest. 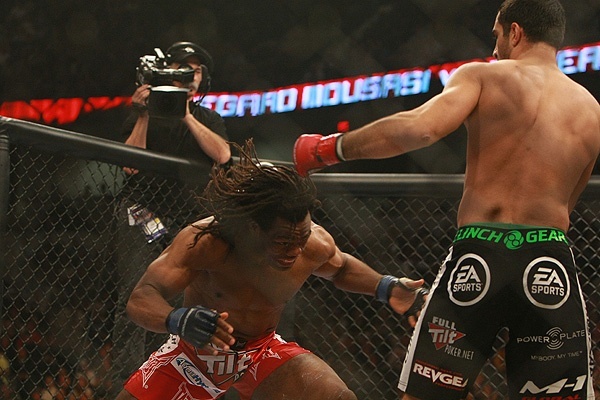 Mousasi peppered Sokoudjou early with mostly deflected jabs and high kicks, until Sokoudjou cried foul and grabbed his groin from an inside kick. 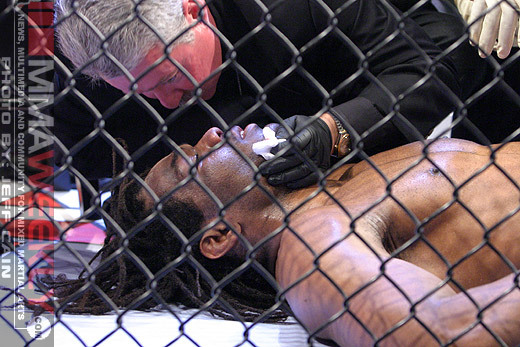 However, referee David Smith did not see fit to halt the action, and the pair continued on. 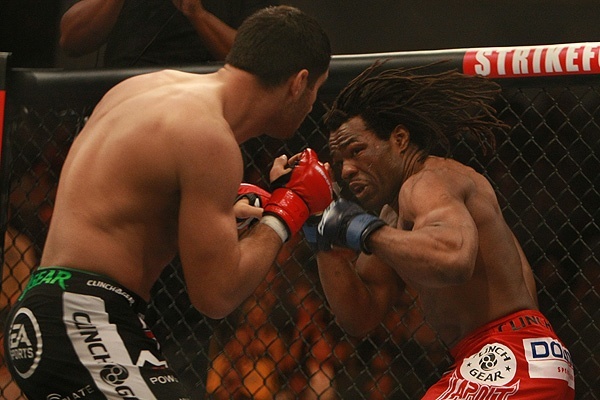 Sokoudjou connected with an outside kick a couple of times, but the Cameroon fighter could not find any other openings on the calm and smooth Mousasi. 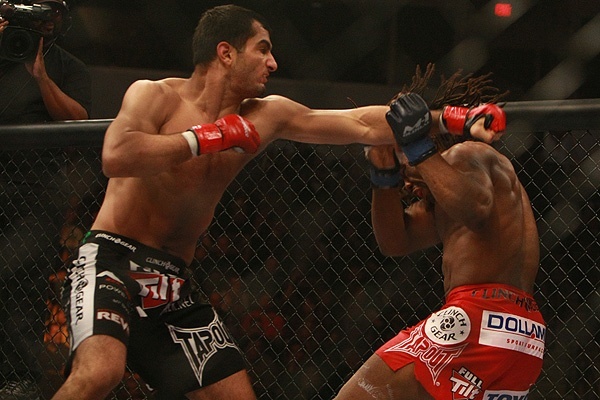 Mousasi turned up the pace shortly after, backing Sokoudjou to the fence. 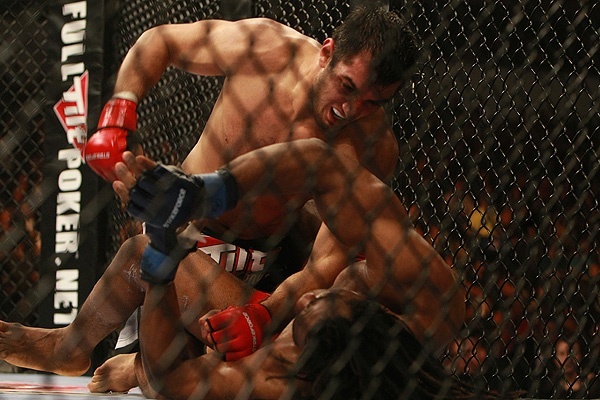 The cornered U.S. judo champion reverted to instinct and nailed a beautiful throw. 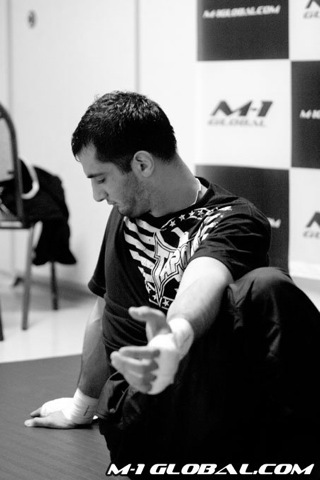 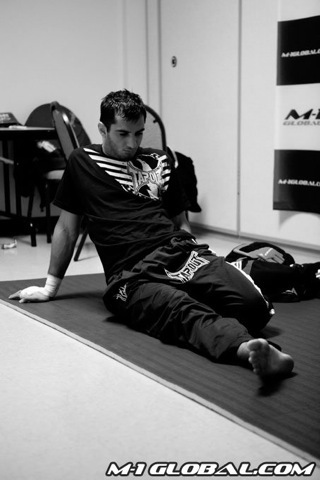 However, Mousasi swept easily into side control. 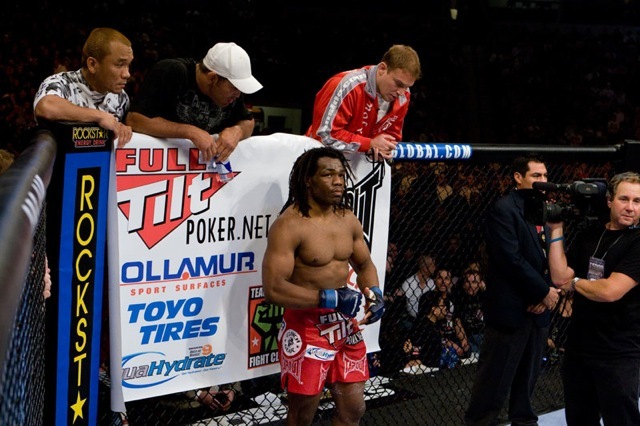 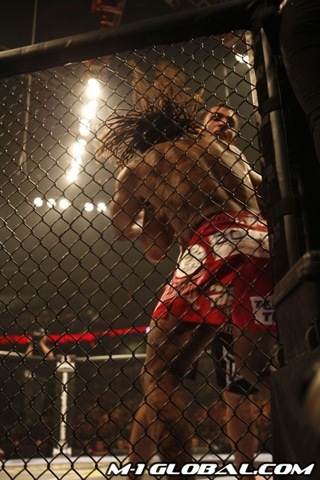 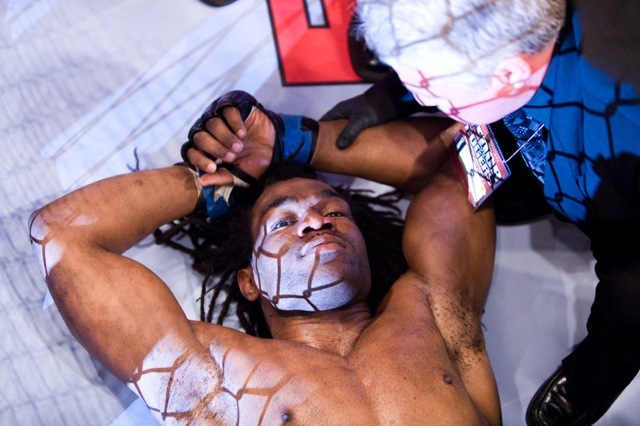 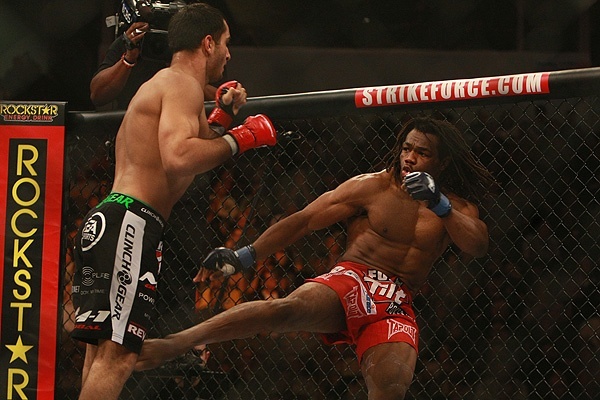 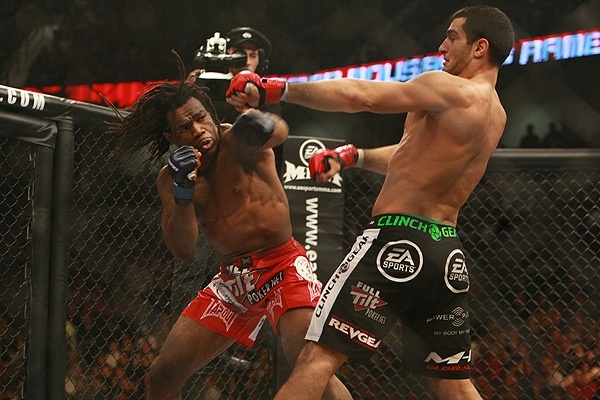 Sokoudjou wrestled to his feet and then manhandled Mousasi against the fence and down to the canvas. 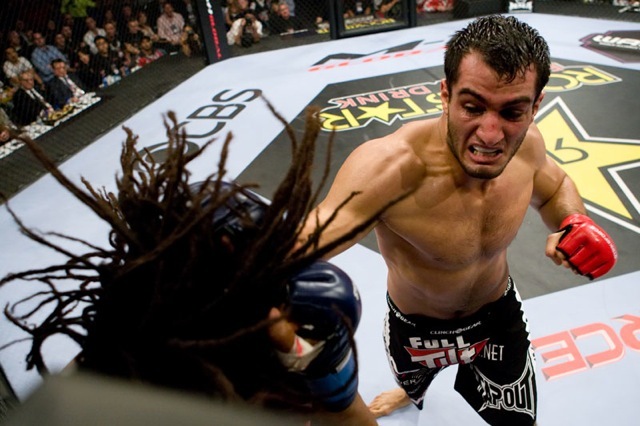 But Mousasi, who knocked out Ronaldo “Jacare” Souza with an upkick in Dream’s middleweight grand prix final in 2008, connected again and dropped a stunned Sokoudjou in the final seconds. 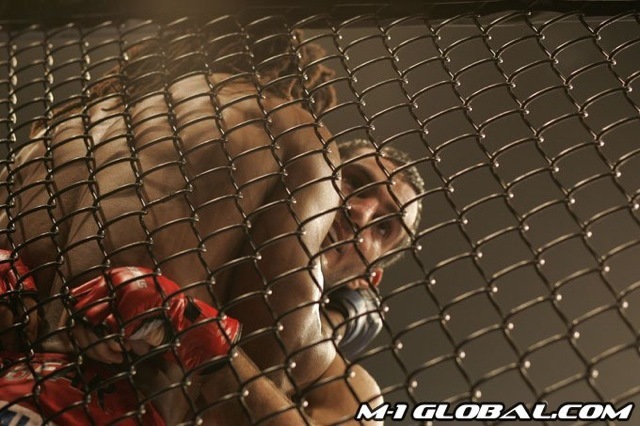 Both men pushed and tugged for control in the clinch at the top of the second round. 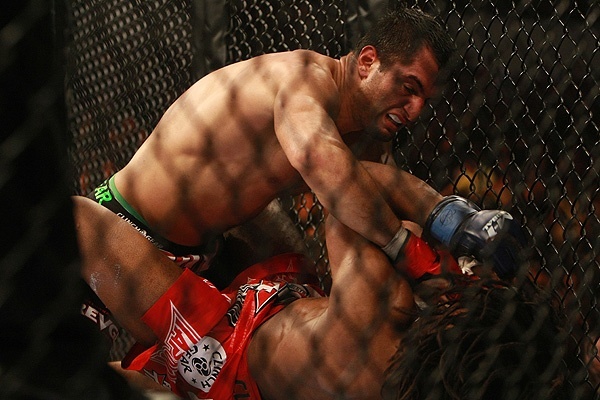 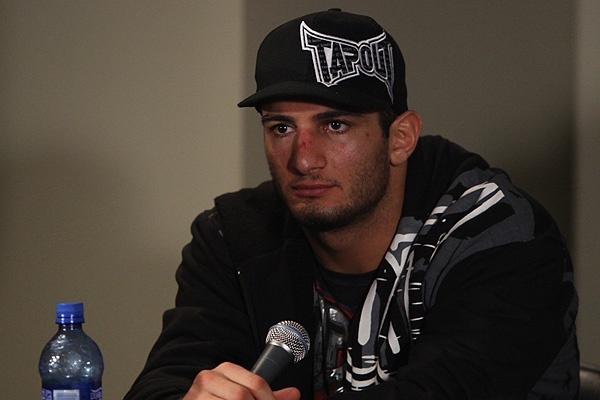 Mousasi settled on the outside, then began to flurry as the dreadlocked fighter ducked for cover. 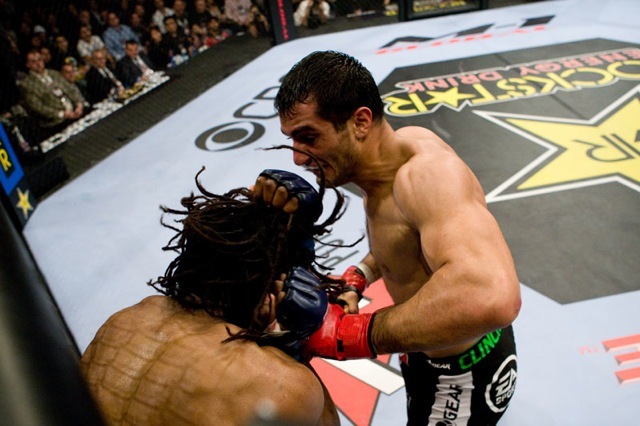 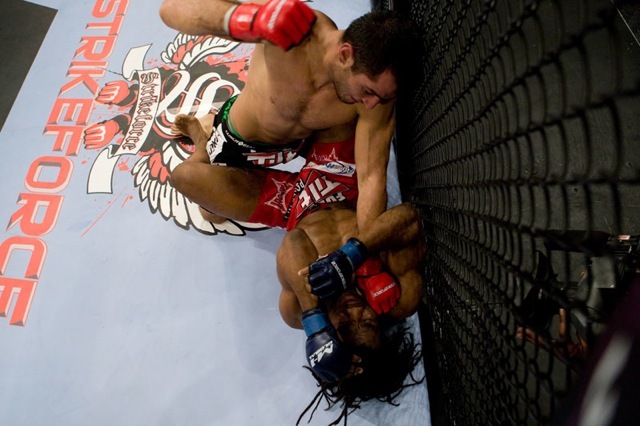 In the following clinch, Sokoudjou fell into the champion’s half guard, but Mousasi latched onto an arm and nearly rolled into the submission before resuming top position. 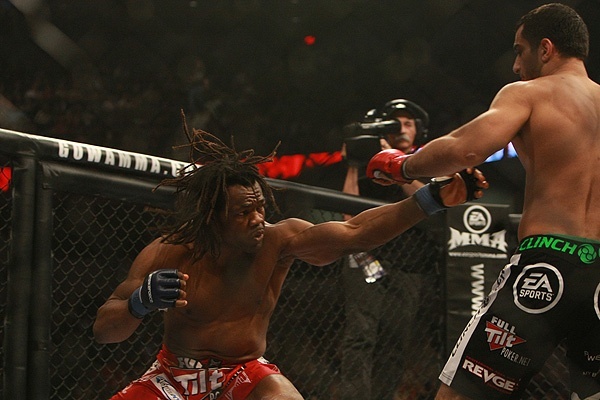 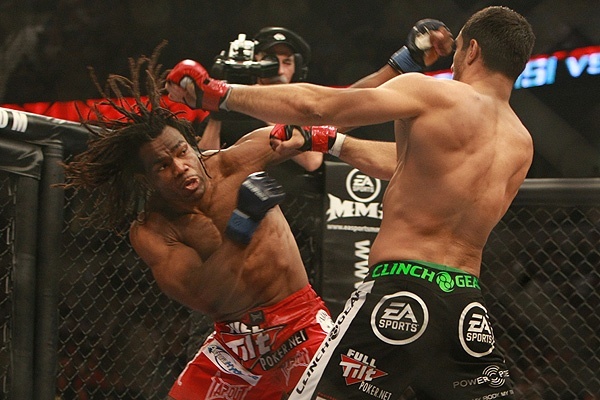 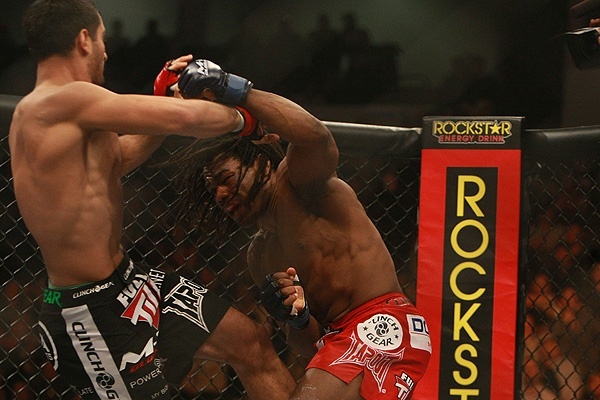 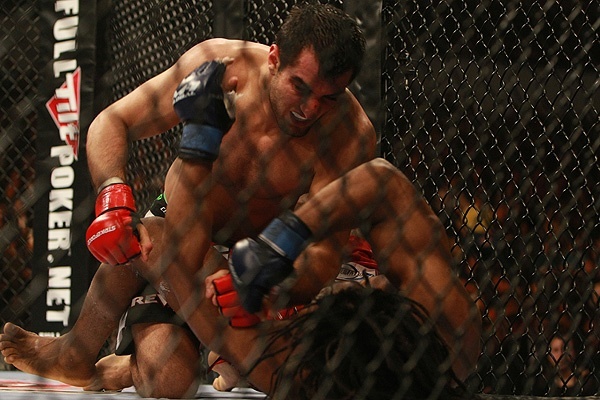 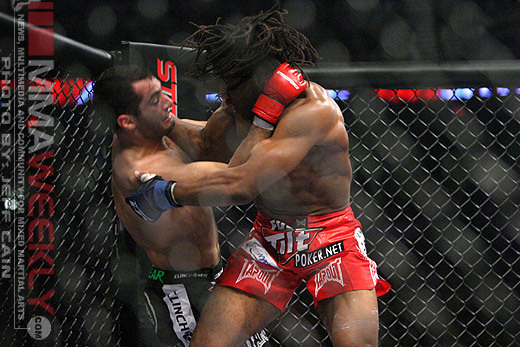 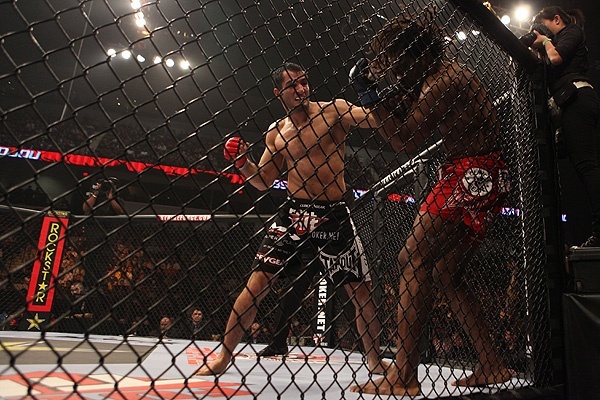 Weathered and waning, Sokoudjou began to fade under Mousasi’s fists until referee Smith stepped in for the stoppage.